This bottle came my way about a year and a half ago, in a mixed case of samples finished with the synthetic Nomacorc closure. The idea was show off wines by premium winemakers who were brave enough to bolt from natural cork. 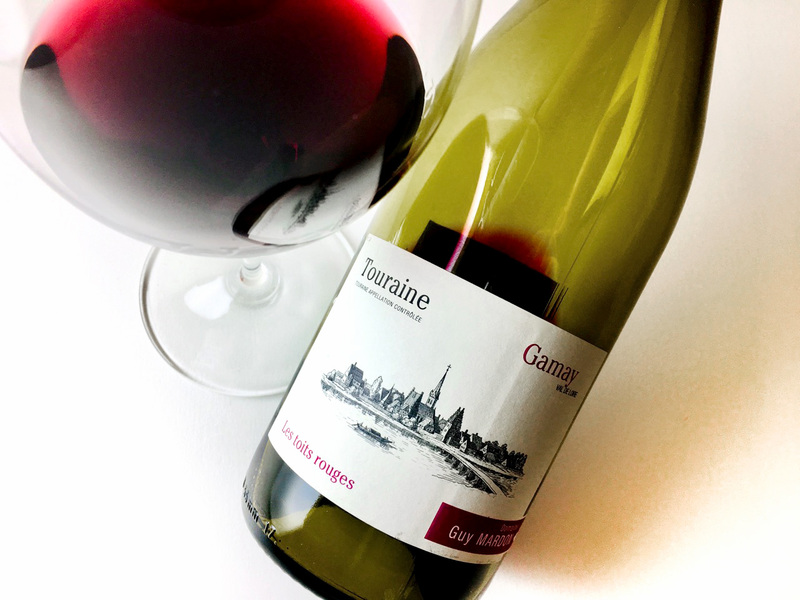 L’Arpent Rouge is a varietal Pineau d’Aunis, a lesser, but permitted, black grape in Touraine. 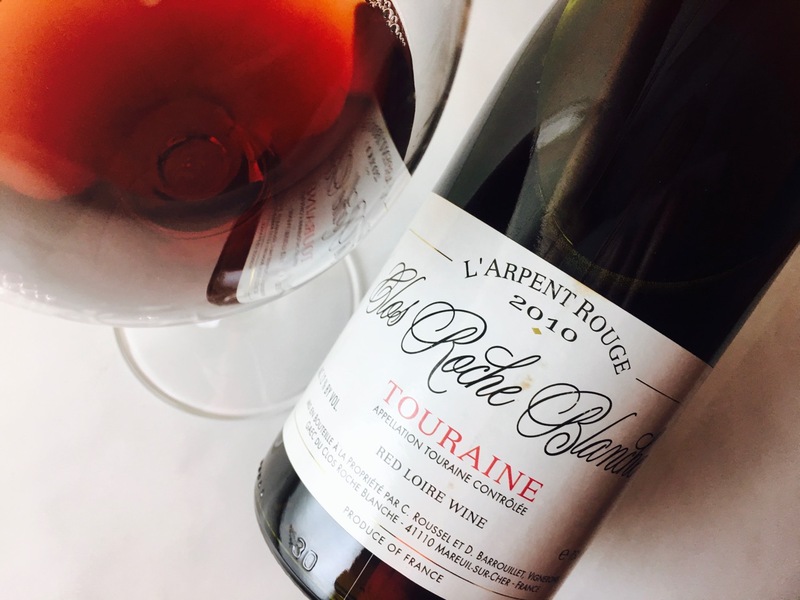 This profoundly high-acid variety is mostly made into rosé, but Clos Roche Blanche produced a red version in years they had sufficient fruit leftover from making their pink wine. The winery shuttered its gates after the 2014 vintage, so there will be no more of this wine, or any Clos Roche Blanche wine, ever again. I tasted and wrote about all of the other samples in that shipment, but this wine’s weird specialness stymied me. I brought it out once to taste with another wine writer, but re-racked it when he confessed his unique antipathy for the grape. So although this 2010 vintage had already been several years from release when I received it, the bottle languished longer. I finally opened it recently. As I peeled back the capsule, I noted that its so-called cork had pushed a millimeter proud of the glass. This can happen at bottling, but it also occurs when a wine gets overheated, expanding and shouldering its cork outward. The first circumstance would not necessarily be a problem; the second circumstance almost certainly would. The robe of the wine was pale reddish-tan color, and it soon became sparkled with minuscule bubbles. Its scent mingled Brett with rare meat, sweat with raw egg, white pepper with black. It was oxidative, too, the aromatics ambered by notes of almond, leather, and acacia honey. It absolutely needed decanting to blow off its funk, but the brittle oxidation suggested it could quickly fade. The acidity was modest given the essential character of this grape, the tannins nonexistent. The fruit, what there was of it, at first suggested pear skin and red apple, then vanished in a potpourri of tea and muddled strawberries. The most curious aspect of the wine was its numbing effect on the tongue, similar to the sensation (or lack thereof) caused by ripe blue cheese, celery, or clove oil. The grape is known for its spice notes—pepper, star anise, and clove, in particular—which made me wonder about its concentration of eugenol. What was certain was that the wine had long since waltzed over the hill. It’s possible the bottle had become spoiled by an accident or mishandling. It’s likely I held it too long. Tasting such a singular wine is problematic when you have only have one bottle, especially when it’s already enjoyed a long, circuitous life. I suspect it was weird from the get-go, but now I wish I could open another. Unfortunate that they used Nomacorc rather than DIAM. I do not think I have ever had a plastic “cork” closed wine that lasted more than 3-4 years from the vintage date. Interesting. I did some work for Nomacorc a while back, providing editorial strategy in setting up their blog, so I worked closely with the marketing team (that’s how I came by this sample). They routinely held tastings of wines aged under their closures and promoted the products as providing a safe, enduring environment with controlled gas exchange. I’ll see if I get someone from the company to weigh in. I don’t know if you saw, but Hardy Wallace is going all in on Nomacorc. The entire Dirty & Rowdy line. Color me skeptical. Yes, he’s been using that closure for a while now. The marketing team was delighted when he tried it out, because he’s considered a maverick and someone whom others of like mind might emulate. And OK, it’s not plastic, but I sure would love to know how they tested it for longevity. Actually, it is plastic. The core is expanded, the sheathing is extruded. They used to use petroleum-derived plastics, then introduced the plant-based polymer on which they’re now focusing the business. But it’s still plastic. While I know little about the results of their testing, I do know they have an extensive research program. Hardy was using regular cork on the single vineyard wines until 2016 vintage. Gotcha. I’m not familiar with his entire line; I’ve only had a few of his wines. Oh, so more wines I need to open for you. We need to figure this out.